Pillows can not only impact the quality of our sleep, but also how healthfully we rest and recharge. But the wrong pillow may worsen headaches, neck pain, shoulder and arm numbness, discomfort, sneezing, wheezing and snoring. And if your pillow is past its prime, it may contain skin cells, mold, mildew, fungus, and dust mites, which make up more than half of an older pillow's weight. At Advanced Healthcare, Dr. Pisarek highly recommends to stay away from a poor quality pillow which can cause disturbed sleep. As sleep is very important to the body's repair process, compromising the quality of your pillow can also affect your overall health and mental fitness. Dr. Pisarek believes that it is important that you use a good quality and supportive pillow, which will hold your neck in alignment and which supports your head - your head weighs an average of 4 to 6 kilograms. A good pillow will encourage your head and neck to remain in the correct position when you move around during sleep. In turn, this will relieve muscle tension around the neck, relax the shoulders and correctly position the head, arms, and lower back for relaxed sleep. Your pillow should offer most support to your neck. To achieve this, chiropractors recommend that you buy an orthopaedic pillow. There are both biomechanical and pain relieving benefits for you in using orthopaedic pillows. They are helpful in the treatment of pain by offering support and should be considered an important adjunct to chiropractic care in the treatment of acute and chronic neck complaints regardless of the cause. They can also help with minimizing snoring for some. They are generally made from hypoallergenic foam and fortrel, some are made from memory foam, and they are shaped. They have a 'bump' or contour that gives you the optimum support for your neck and head. 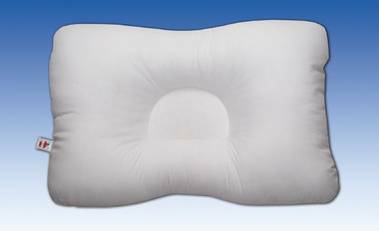 Dr. Pisarelk recommends using a 'D-Core' or 'Tri-Core' Sleeping Pillow (preferred), which are available for purchase thru our office at an economical price, and are the most recommended pillows by the health professionals who commonly treat neck and head pain. 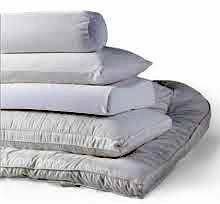 In Dr. Pisarek's opinion, these pillows are the “training wheels” of pillows. It’s uniquely designed to help you maintain back/side restful sleeping. The intelligent shape of it makes stomach-sleeping nearly impossible. There’s no question that it will wake you up if your body moves into the wrong position during the night. High resiliency fibre-fill springs back when compressed for exceptional comfort and durability, which allows for a supportive good-night’s sleep. This pillow also helps relieve tension headaches; reduce nerve pressure on the neck to diminish muscle stress neck spasms; arthritic neck pain and helps open obstructed airways that often cause snoring. Blended cotton cover is breathable and soft to the touch. Fits a standard pillowcase, 24”x 16” (61cm x 41cm). Regardless of why you think you have pain, it is important to deal with it sooner rather than later. The longer you have a problem, the harder it is to get rid of it. The early signs of having a problem might only present as a slight stiffness and tiredness in the neck and shoulders, not to mention headaches and a disturbed, restless sleep. Having pain is not normal, even though it is common. Call (416) 633-3000 to book a chiropractic assessment with Dr. Pisarek to help get a diagnosis and effective treatment program of your problems, sooner rather than later.